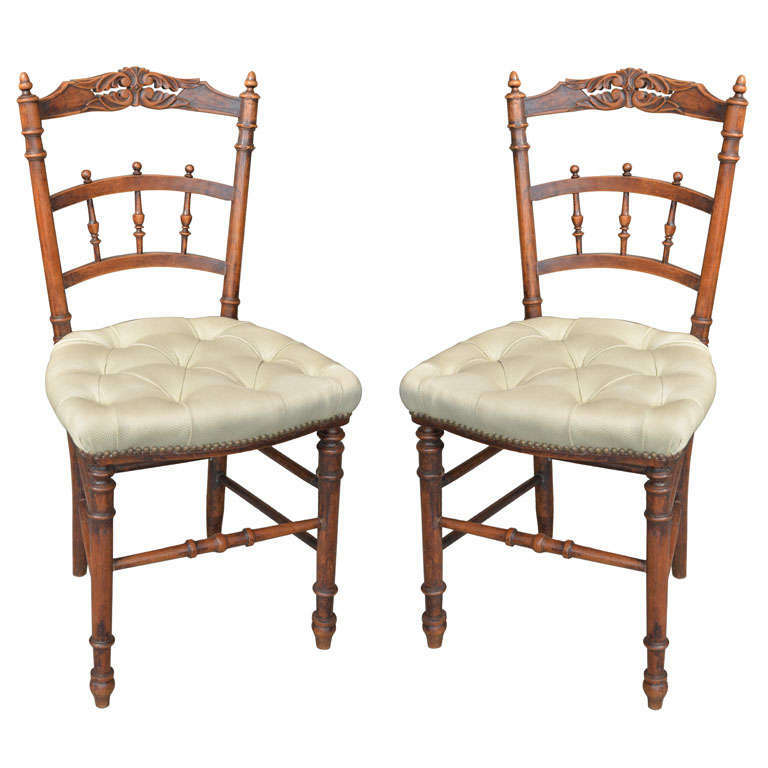 Pair of chairs Napoleon III, seating is tufted, recent restoration. The Napoleon III style is a composite style between 1852 and 1870. Has two very different aspects: copy and Napoleon III style itself. It is, especially in the early years, a mixture of different styles from previous: Louis XIV Boulle furniture, Louis XV lounges: rock and gilded wood, Louis XVI for the bedroom and finally Renaissance dining rooms. Gradually he takes his true character blackened pear, pearl inlays, small furniture, ornaments, upholstered seats. $650 for the entire lot.